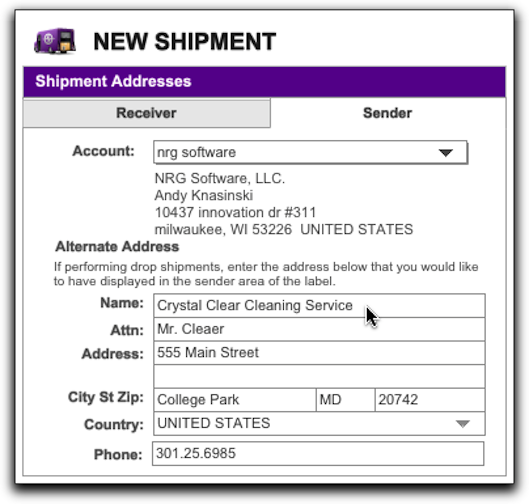 NRG: Mac & FileMaker Shipping Software :: How do I do perform a drop shipment, using an alternate address than mine on the shipping label? Simply select an alternate address than yours from the sender address drop down menu. You can add as many alternate addresses as you'd like. The address selected will appear as the Sender on the shipping label. 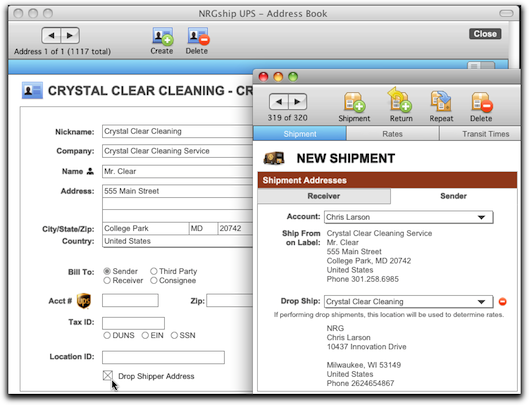 On the Sender tab, select an alternate address from the Drop Ship drop down menu. The options are based on addresses in your address book that have the "Drop Shipper Address" checkbox checked. The address selected will appear as the Sender on the shipping label. On the Sender tab input an alternate address. The address you input will appear as the Sender on the shipping label. On the Sender tab (Origin tab in the Freight Portal), select an alternate address from the Alternate Address Company drop down menu. The options are based on addresses in your address book that have the "Drop Shipper Address" checkbox checked. The address selected will appear as the Sender on the shipping label. 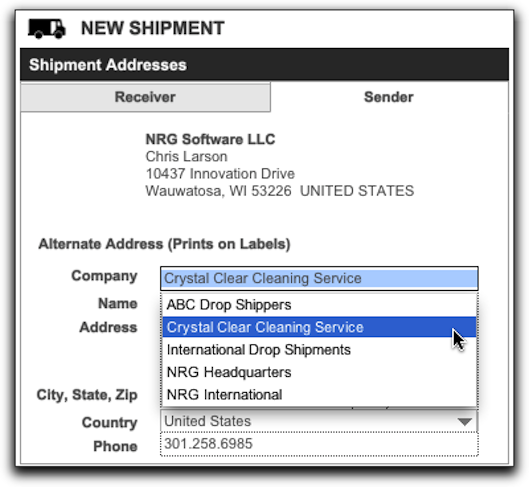 Courier Note: The alternate address (drop-ship) option is not available in the Courier portal of the NRG Ship Connect solution.